Anthony James weighs 315 pounds, is possibly schizophrenic, and he’s just been kicked out of college. He’s rescued by his mother, sister, and grandmother, but they may not be altogether sane themselves. Living in the basement of their home in Queens, New York, Anthony is armed with nothing but wicked sarcasm and a few well-cut suits. He intends to make horror movies but takes the jobs he can handle, cleaning homes and factories, and keeps crossing paths with a Japanese political prisoner, a mysterious loan shark named Ishkabibble, and packs of feral dogs. When his invincible 13-year old sister enters yet another beauty pageant—this one for virgins—the combustible Jameses pile into their car and head South for the competition. Will Anthony’s family stick together or explode? With electrifying prose, LaValle ushers us into four troubled but very funny lives. 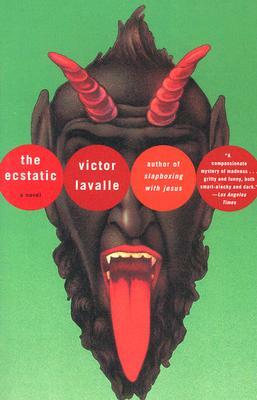 Victor LaValle is the author of the short story collection Slapboxing with Jesus, winner of the PEN Open Book Award. He has also been awarded the key to Southeastern Queens. He lives in California, where he is the Distinguished Visiting Writer at Mills College.